Welcome to this blockchain and crypto video by CNBC Crypto Trader! CNBC Crypto Trader is a leader in video coverage and keeping up with market news ona global level in the blockchain and crypto currency space. In this episode you will hear about the future of utility tokens, XRP opinions, and the SEC on ETF decision making. 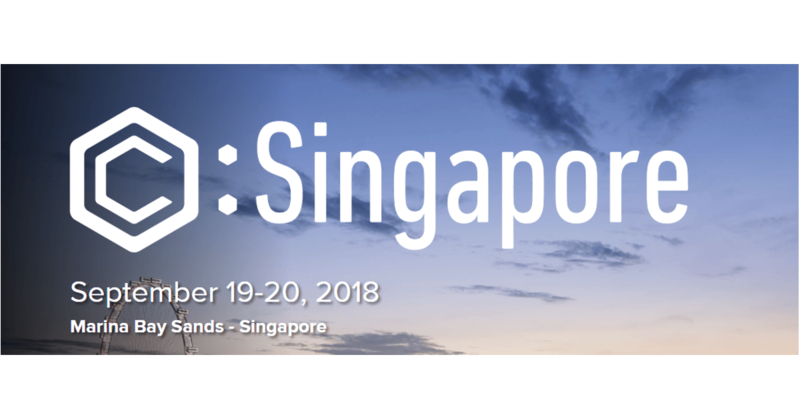 Consensus 2018 Singapore hosts many big names from the AI and blockchain industry including Cool Wallet, MEW (My Ether Wallet), OKEX, BitFury, Genesis, eToro and many other tech companies. Are ICO's legal in Singapore? There is clarity in securities in Singapore and the government has not come down really on any as discussed in the video above. It is advised to be more transparent when doing business in Singapore as the 'Anti Money Laundering' is something that is carefully watched even more so then KYC. Singapore is a tech hub and forward thinking place for blockchain and disruptive technologies. Is a Bitcoin ETF needed? Humans are linear learners and blockchain tech is exponential to understand so the adoption of blockchain technology and investing in such technology takes time. It is not the decision of one person in many organizations but multiple to begin taking part in this industry. A Bitcoin ETF and options may be the best way and one of the only ways to get institutional money into the space but it does not bring liquidity to the markets. There are arguments for and against the need for a Bitcoin ETF in the video above.